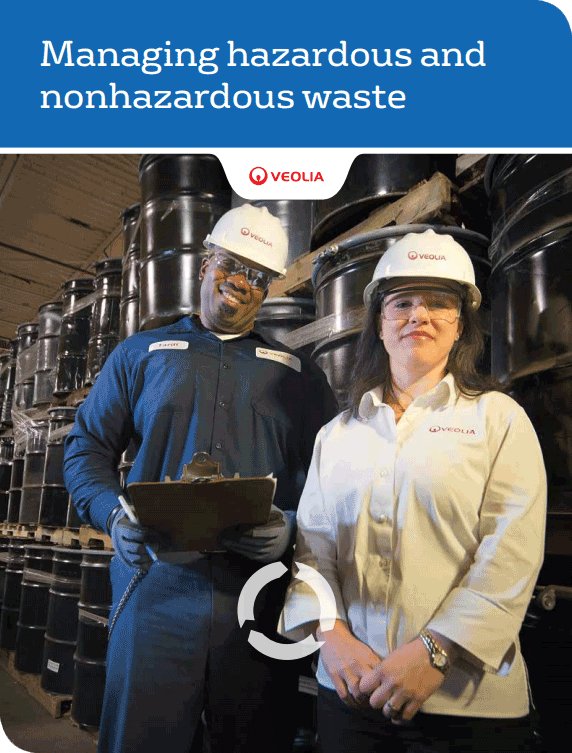 Veolia assures regulatory compliance by channeling hazardous and nonhazardous waste and related information through our network of over 400 company-owned or certified service centers nationwide. Veolia maintains an excellent record of compliance with environmental regulations. This record is ready for inspection at any time. A culture of compliance is a way of life at Veolia, where we manage hazardous and nonhazardous waste with the utmost care.